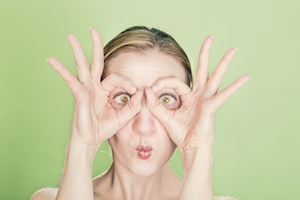 Are all of your customers the “Best Customers”? Of course not! If you have a typical sales territory, a few customers provide most of your business. And you devote most of your selling time to them, right? Take a look back over the recent 12 months. Which customers have given you the most business? If you sell business to business generally you have a small number of best customers in your territory. These are companies where you have built a mutually beneficial, long-term relationship. I call this my “A” list. Do You Have Second Best Customers? Of course in every sales territory there are more than just the best customers. Your “A” list has a mutually beneficial, long-term relationship with you. There are other companies having the same characteristics as the “A” list but have not yet developed the desired relationship. This is my “B” list. The challenge here is to continue winning business to grow a “B” company to be an “A”. Some companies with “A” list qualities just don’t have a need for a lot of your product but they buy all they do need from you. I also include these on the “B” list. When I sold safety products, my territory had a few large national accounts who were “A” customers and many more smaller companies who preferred doing business with me. This “B” list bought all they could from me. I made sure we provided a superior level of service for them. My loyal “B” customers were the primary source of referrals for new business. Any Other Levels Of Best Customer? Yes. There are buyers who just place orders. Some small companies which just do repeat buys from what they need from you. These companies are “low maintenance.” They don’t take much of your time but it is “nice-to-have” business. This is my “C” list. I suppose if you have sophisticated CRM software you can parse these three categories further. But for my purpose, three levels of customer is enough. Want To Know More About Finding Good Customers? 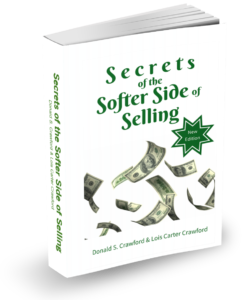 To learn more sales secrets see Chapter Eight, The Six-Step Sales Process, in Secrets of the Softer Side of Selling. For even more sales help, join our FREE Sales Club! “See” you next week.